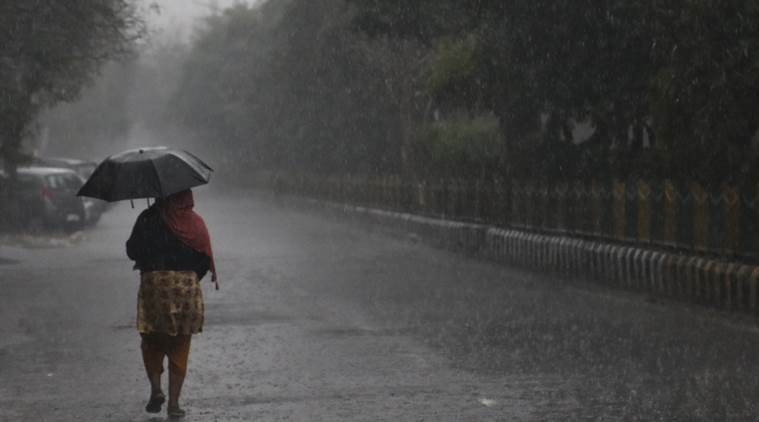 Under the influence of Western Disturbance, Rain and thundershowers over Jammu & Kashmir, and isolated to scattered over Himachal Pradesh and Uttarakhand is likely during the next two days, the IMD has predicted. Light rain brought some respite to Delhi Friday morning, a day after temperatures soared to 38.7 degrees. The IMD predicted duststorm and thunderstorm over Rajasthan, Punjab, south Haryana, Delhi and West Uttar Pradesh for this weekend. On Thursday, the Meteorological Department issued a fresh yellow weather warning for rainfall in Himachal Pradesh. The MeT Department issues colour-coded warnings to alert the public ahead of severe or hazardous weather which has the potential to cause “damage, widespread disruption and/or danger to life”. Yellow is the least dangerous out of the weather warnings — it indicates the possibility of severe weather over the next few days that could affect the public. Meanwhile, according to the Accuweather, thunderstorms in Northwest India and parts of Pakistan will announce the arrival of a powerful storm set to hit the Middle East. The storm will travel eastward to India. Pre-monsoon convective activity is also likely to cause isolated to scattered rainfall over Bihar, West Bengal & Sikkim, Jharkhand and Odisha and over northeastern states, including Arunachal Pradesh, Assam & Meghalaya and Nagaland, Manipur, Mizoram & Tripura on most of the days during the week, according to the forecast. Last week, in Delhi and adjoining areas, a heat wave prevailed in the region due to the successive western disturbance’s affecting the Jammu and Kashmir region.